We’ve all had one of those amazing salads, that was so good we just had to keep shoving forkfuls into our mouths. On the other hand, I imagine we’ve all had a boring salad. Just greens, a veggie or two, and a drizzle of dressing. You eat it because you know it’s good for you, and that’s the extent of it. I know those salads well, because I used to make a lot of them. Over the past year, I’ve realized that the salads that make me salivate and that make my husband and children clear their plates are the ones that are more hearty and complex. Complex doesn’t necessarily mean difficult or time-consuming to make. I’m referring more to the complexity of flavors and how it all mingles together to make an exceptional salad. 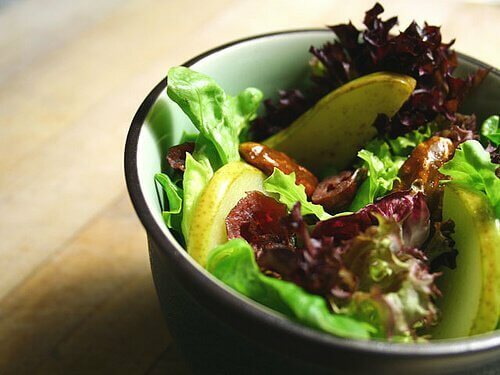 Based on my own flops and failures, and more recently my winning salad combinations, here’s what I’ve learned about making amazing green salads. What makes a salad good? Spring greens mix, cooked diced chicken (leftover from another meal), red peppers, red onions, cucumbers, feta cheese, candied walnuts, homemade balsamic vinaigrette. Torn romaine lettuce, black beans and chicken (which I quickly warmed up with some taco-type spices), shredded Monterey jack cheese, diced avocado, crumbled tortilla chips, red peppers, homemade ranch dressing. Both were quick and easy to make, and included a respectable base of greens and other vegetables. 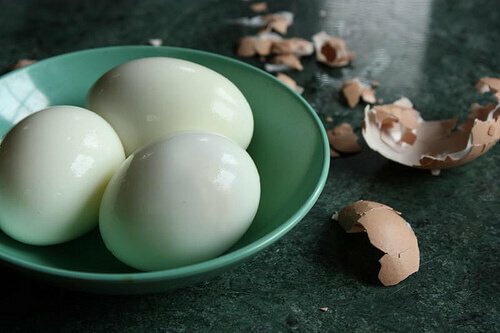 It’s the added proteins and blend of different flavors that made each of them special and tasty in their own way. Freshness is key. Regardless of which type of greens you choose, ones that are fresh and full of life will taste better and be the most satisfying. There is nothing as unappealing as a wilted salad. Of course, the best you can get are just-picked greens, straight from the garden. Anybody can grow salad greens, even in a teeny tiny apartment with nothing but a balcony. 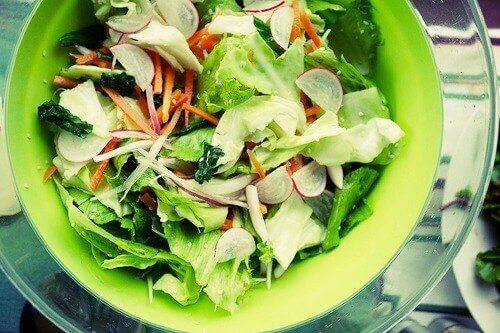 pre-washed organic salad mixes- baby spring greens, romaine, herb mix, spinach, etc. other dark, leafy greens, like kale, swiss chard, mustard greens, mizuna, or arugula. Depending on the taste you’re going for, you can stick with one type of greens (like Romaine, for a very crunchy, crisp salad, or spinach for a softer salad) or mix them up to have a variety of texture and taste throughout. Fresh fruit- apple or pear slices, oranges (mandarins are nice), peaches, grapes, peaches, strawberries. 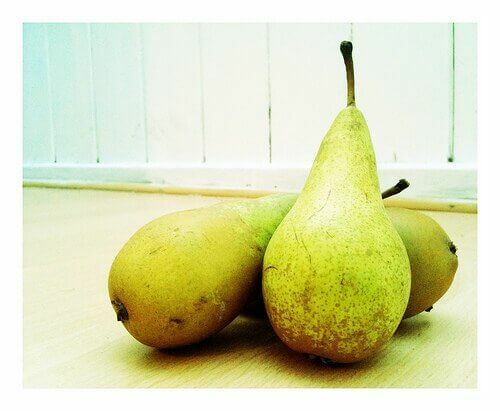 Nice, thin slices or else small diced pieces are best for fruits like apple or pears. Dried fruit- cranberries, raisins, cherries, apricots. Candied nuts of some sort (I love soft nuts, like walnuts and pecans best)– these taste amazing on salads! Nuts and seeds- pecans and walnuts are amazing. Also, slivered almonds, pumpkin and sunflower seeds, pine nuts, sesame seeds. I’ve linked several times to my friend Kimi’s site, The Nourishing Gourmet, for good reason. 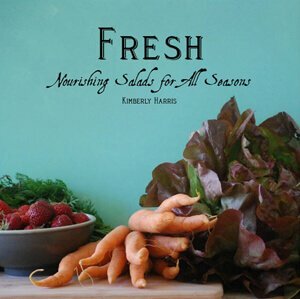 This past year she put out a book called Fresh: Nourishing Salads for All Seasons. Her salad recipes are fantastic. I’ve never had one fail me yet. We’re good friends with Kimi and her husband Joel, and when we’ve had salad at their house, my husband (not always the biggest salad eater) scarfs it down. The best was one with fresh peaches and chicken on a hot summer day. Yum. Ryan keeps telling me to make more salads from her book and then he’ll eat them! All that to say, if you struggle with salad-making inspiration and you’d love to get some more ideas and learn from someone who really knows how to make a great salad, Fresh is the perfect place to start. How do you make a great green salad? What are your absolute favorite salad toppings? One of my family’s favorite salads includes baby spinach as the green, garbanzo beans, crumbled bleu cheese, dried cranberries and a very simple lemon oil dressing made by juicing 1 whole lemon and adding some extra virgin olive oil. You could add grilled chicken to this to make it a meal and it’s so light and refreshing! A great summer meal… super quick and easy and very healthy! I love having a big salad for lunch since I usually have time to make it. Cutting up some of the veggies ahead of time also helps with preparation. I’ve also cooked greens like spinach and swiss chard and built a green salad around them. This may be lunch today! Great post. What great tips to spice up salads! My salads are always pretty boring. I either make a basic salad with greens and a few veggies, topped with chicken or salmon, or I make taco salads. This post gives me some good ideas! Yum! My family’s current favourite salad is kale, quinoa, apple, and cashews with an oil, apple cider vinegar, honey dressing. 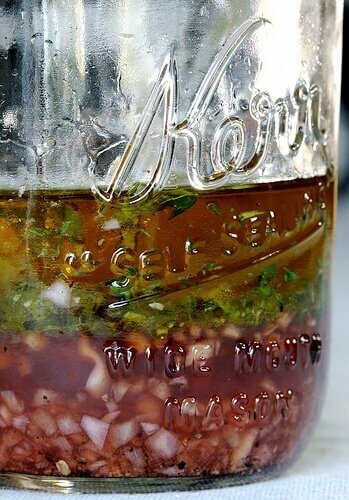 It’s so delicious, lasts a long time even with the dressing on, and is filling enough to be the entire meal for lunches the next day. 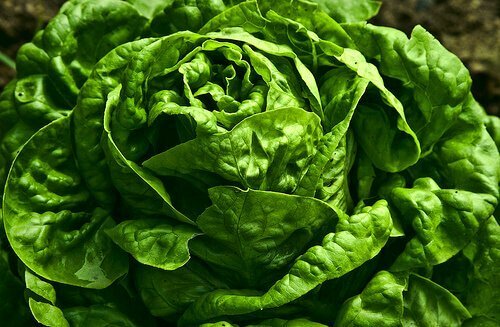 I just pull some fresh lettuce out of my garden today! Great ideas. Thanks! My basic salad has baby spring greens, grape tomatoes, craisins, diced gala or fuji apple, sunflower seeds or slivered almonds, and poppyseed dressing. I try to have the ingredients on hand most of the time. I also love to copy the salads from Panera, especially the Harvest salad with pears, walnuts, feta, dried cherries, etc. My dh is of a different mind when it comes to salads. He thinks it’s wrong to mix greens with fruit and nuts. I feel so bad for him. 🙁 He’s missing out on so much goodness. Try using cooked edamame on your salad, or even frozen edamame. That’s one of my favorite ways to use up that leftover spoonful and I find myself looking forward to my salad with the edamame on it. Yum! fun dressing ideas! we love a good salad – it is a star on our summer meal plans! i love the variety of combinations that can go in salad and adding fruits in the summer into the veggie mix is always a favorite of ours!